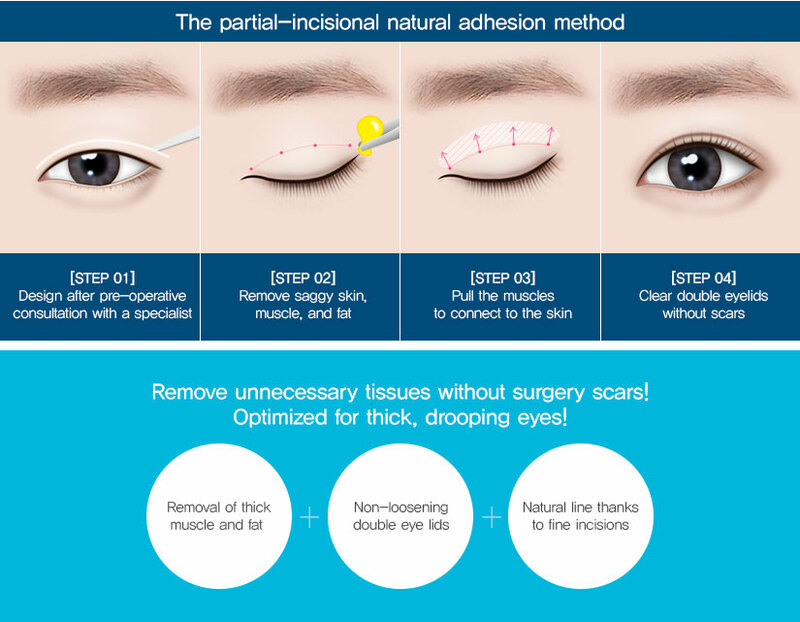 Braun partial-incisional natural adhesion method is a surgical procedure that creates clear and natural lines through natural adhesion to the eye, requiring incision. The partial-incisional natural adhesion method is a new surgical method combining Natural Adhesion and Incision Methods, leaving no scars, unlike the regualrincision method. Braun eyelid surgery, which retainsthe merits of necessary surgery for your eyes. Induction of adhesion between tissues! A natural line! Natural adhesion that doesn’t come undone. 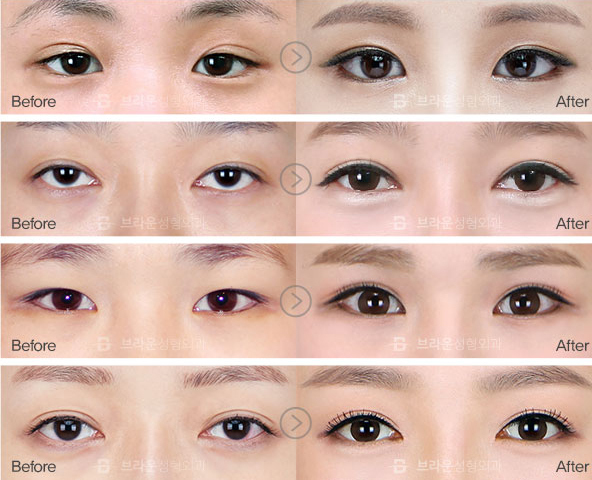 With a lot of experience and know-how, it is possible to apply for various cases such as reoperation because of unsatisfactory double eyelid surgery or the side effects after surgery. Since it induces adhesion of the skin tissue itself, it is less likely to loosen over time. Itcompletes permanent and clear double eyelids. 3. Overcome the disadvantages of incisions. It is natural even when closing your eyes due to a scarless incision. You can create your desired lines by adjusting height, inline, and outline. Braun's design system considers the whole face rather than just a part. We consider the elements that make up the eyes as a whole, such as the double eyelids of moderate height, the ratio of the horizontal and vertical length of the eye. A natural double eyelid can be created as if it’s the first surgery through our natural adhesion method while removing the existing double eyelid scars. It creates a natural double eyelid that fits your eyes, requiring an incision.